Early in September Pete, James, and I went down to Myrtle Beach in South Carolina for our first ever (flying) family trip. Yep, that’s right, the whole James on a plane moment has happened. Admittedly, the thought of flying with James (and actually doing it) was pretty stressful, but with the flight only being an hour and 15 minutes direct from NYC, we knew we could handle it. We were glad to have a change of pace for a few days, see somewhere new, and also see how James would do on his first trip. Originally I was invited on a culinary-themed press trip to Myrtle Beach later in September but had to decline because I’m still nursing James. But when I was invited to come down with Pete and James and check things out at our own pace, Pete and I decided it was an opportunity we couldn’t pass up (and in full disclosure, part of our trip was covered, but let me assure you that what I’m sharing today is only what I loved). Myrtle Beach surprised and impressed us with the number and quality of attractions in the area, and we also had some great Southern food and beyond while we were there. Let’s dig into the highlights. “I wish we had something like this in New York” is what Pete said while we were eating, and I couldn’t agree more. This was my favorite meal of the whole trip, and The Wicked Tuna is a must if you’re in Myrtle Beach. The place itself is HUGE and they have several different seating areas, with an extensive menu to boot. It was honestly pretty tough picking out what to order, and even still, we went a little overboard and left the place completely stuffed. I couldn’t dine here without trying a grouper dish of some sort, as it’s something I remember from living in Georgia and miss dearly. 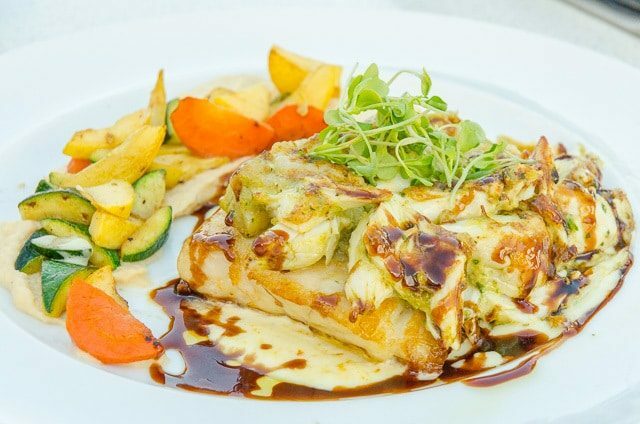 The dish below that we ordered was a special, but they have a lot of different preparations of grouper to choose from, and I don’t think you can go wrong with any of them. All I’ve got to say is: The Wicked Tuna, I will come back for you!! 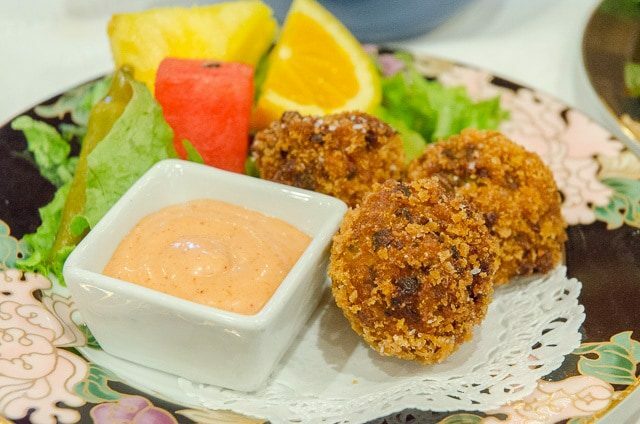 Part grocery and part eatery, you can sit down to a plate of traditional Polish food, then take home a few goodies from their extensive collection of unusual European and Polish ingredients. They had tons of different types of European sausages, plus European candies, Polish butter, doughnuts, and other finds. I was really impressed by the size of the deli selection. Overall, it felt like you were having an authentic meal at a Polish grandmother’s house. The plating isn’t fancy but the cook and flavor on everything is amazing. 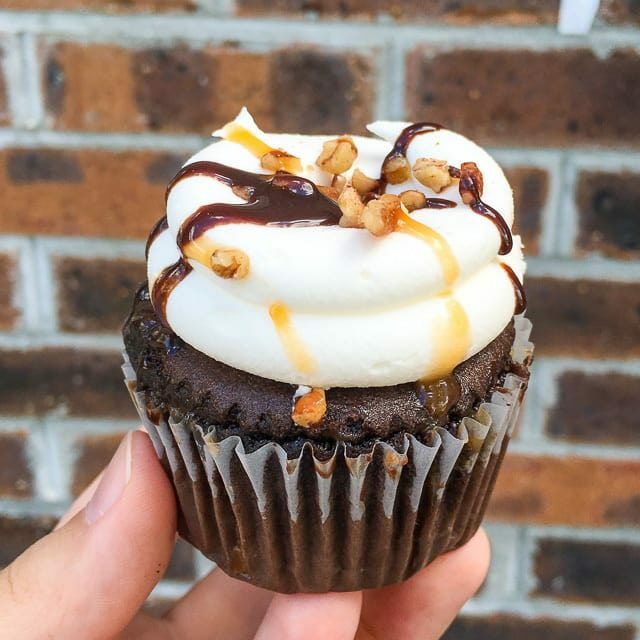 After seeing their Buffalo Wing Cupcake on the Visit Myrtle Beach’s list of 60 bites, I wanted to check this place out. Especially since I knew the owner had been on Food Network’s Cupcake Wars. When I walked in, I was pretty floored by their flavor selection. Seriously, they have the biggest selection I’ve ever seen for a cupcake shop. It was impressive. The cupcakes were moist and the frosting billowed mighty and tall, which is how I like it. We stopped by on our last day before heading to the airport, and I’m glad we did. “Bonjour, Y’all!” is the catchphrase of this place and I think it’s pretty darn brilliant. I mean, both cuisines love butter so you know they’re going to get along. We went here for breakfast and had the Bananas Foster French Toast and the Crab Cakes Benedict. Both were so good that as soon as I finished eating I thought, can I eat that again? Right now? In addition to the bistro, they have a big dessert case with lots of treats to take out. 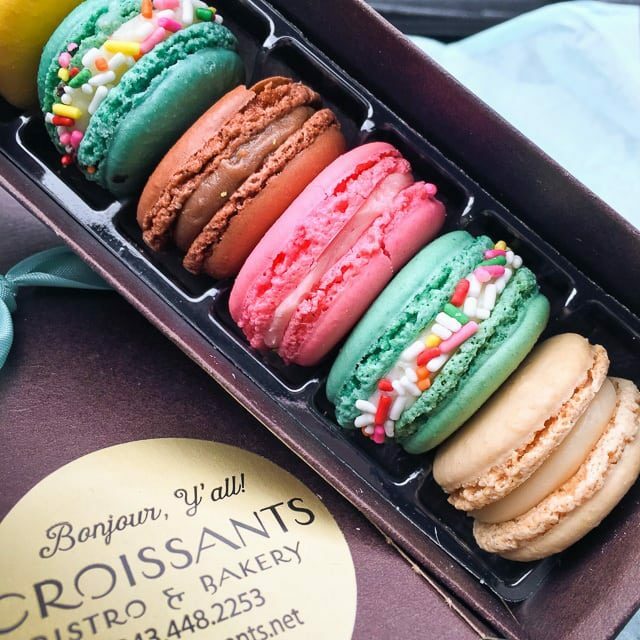 As a macaron fiend, I enjoyed a box to-go after my breakfast. And yes, I did eat them right after breakfast. The owner Heidi has a very interesting story that she talks about in her cookbook Bonjour Y’all, which also includes a lot of the recipes from her bistro. I’ve got a copy and look forward to trying some of them after loving the meal we had. 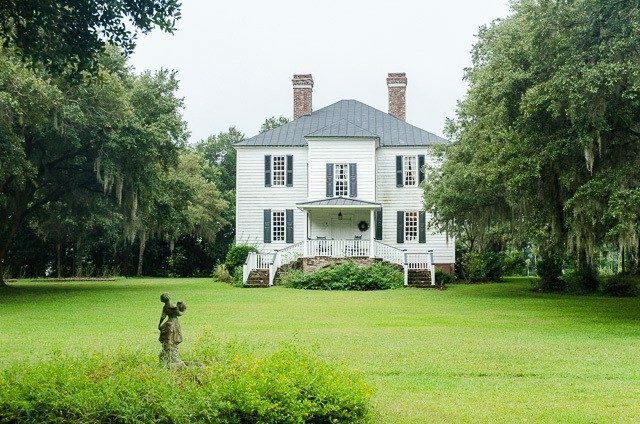 While it’s a bit south of Myrtle Beach, I’m really glad we made the trip down to the Hopsewee Plantation, which is a preservation that was built by the Lynch family in the 1700s, and is still lived in today. 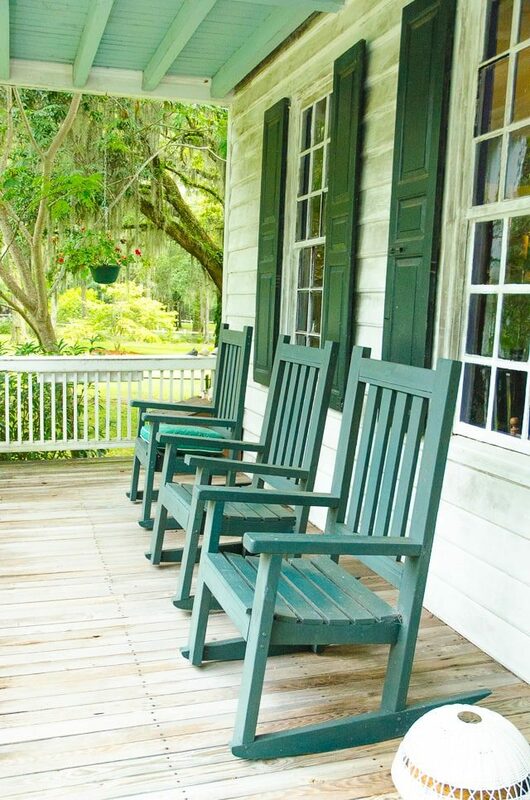 Having lived in the South before, I’ve seen plantation houses before, but none like this. The house has never been allowed to fall into pieces and because it’s still lived in every day by current owners Frank and Raejean, something about it feels really authentic. You walk in and you can feel the history in your bones. 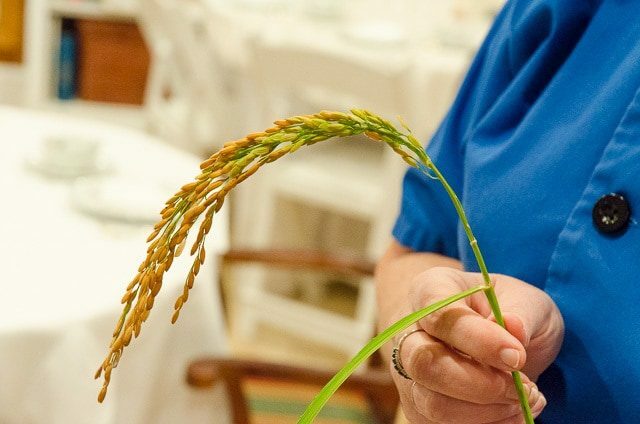 It’s prized for its nutty flavor and firm texture, and is going through a rebirth in America as a type of specialty rice. If you Google it, you’ll turn up articles such as this one: The Story of Carolina Gold, the Best Rice You’ve Never Tasted. After our tour of the house, we had lunch in the Hopsewee Tea Room, which Raejean opened in 2008 after some Red Hat ladies asked her to serve tea. 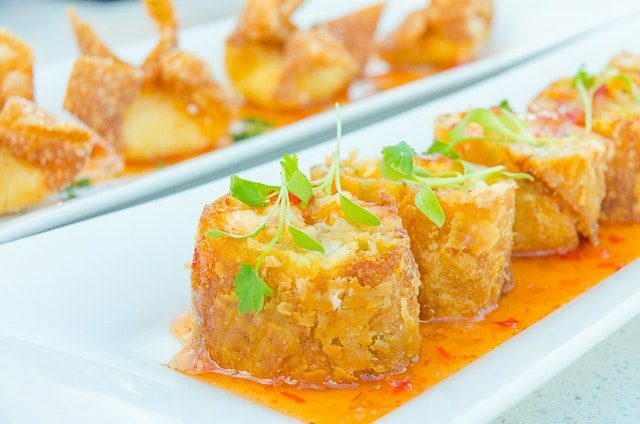 In addition to an extensive tea list, the menu has many lowcountry dishes and many of them feature the Carolina Gold rice. We really loved the dishes we tried, and I recommend the crab cakes, okra fritters (pictured below), gumbo, and the tomato pie. 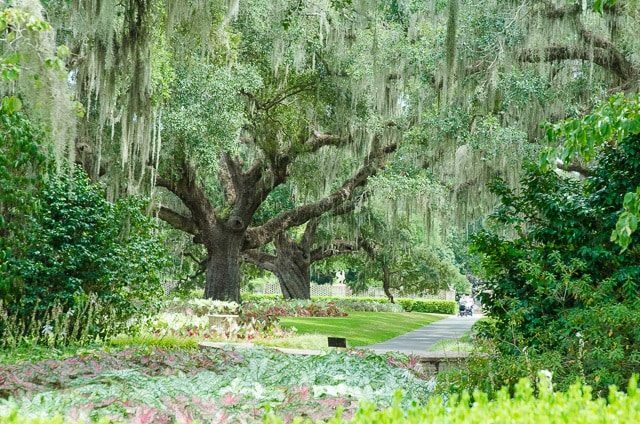 I’m betting most people who visit Brookgreen Gardens are pretty floored by the enormity and beauty of the place. 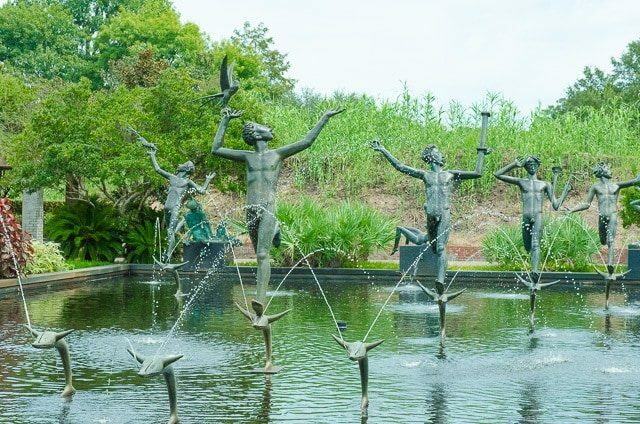 Brookgreen is a 9100 acre sculpture garden and wildlife preserve with nearly 1500 works of sculpture, plus lowcountry walking trails and a zoo. 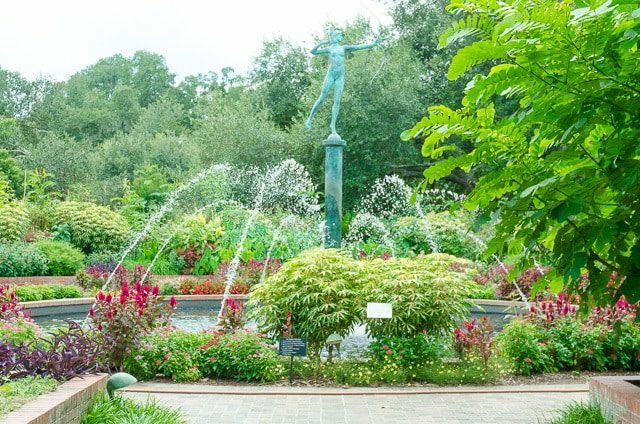 The willows are dreamy and plentiful, and the sculptures make you feel like you’re at an art museum, except you’re outside in the warm sunshine and surrounded by greenery and flowers as you peruse. James sat on daddy’s shoulders staring quietly at all there was to look at. 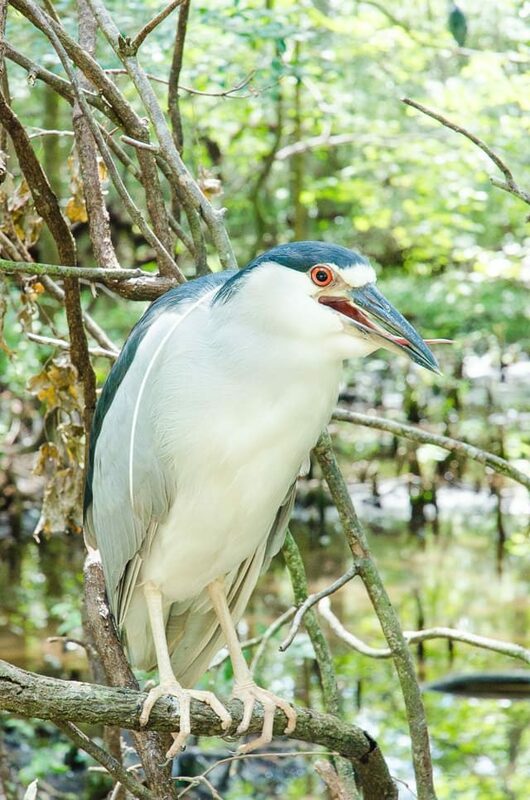 An unexpected surprise was all the wildlife we saw. 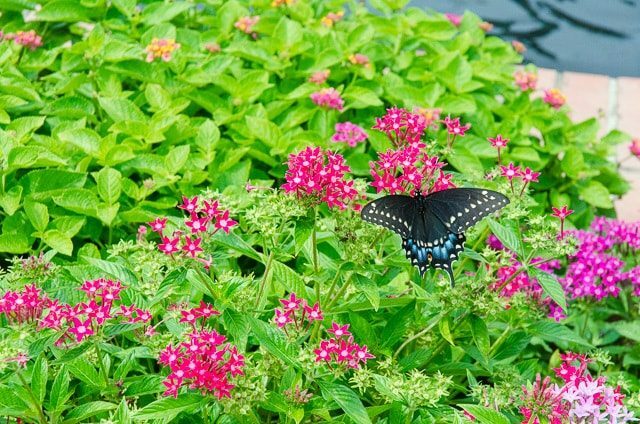 Butterflies abound in the gardens and you see all kinds of cool bugs. On the zoo side of the gardens, they have an aviary you can walk through, with tons of birds that you can get pretty close to. 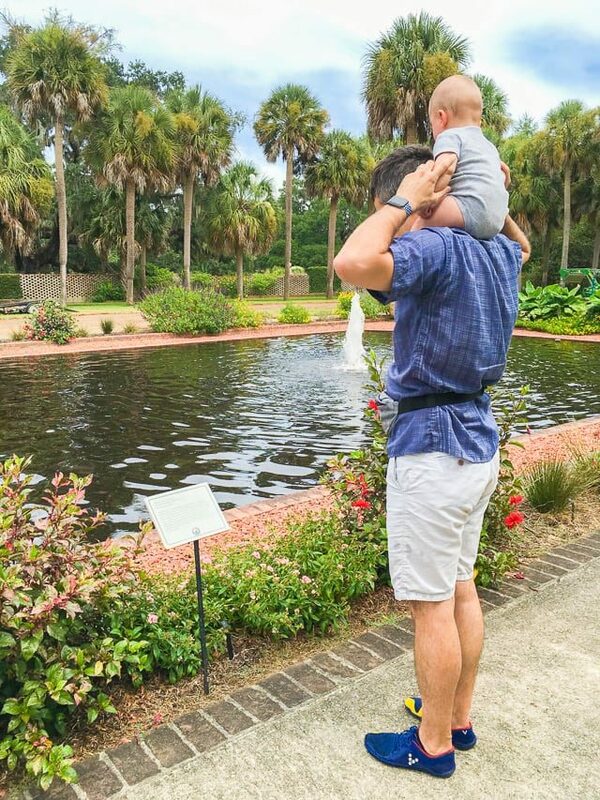 Brookgreen Gardens is a great place to walk around and spend an afternoon. 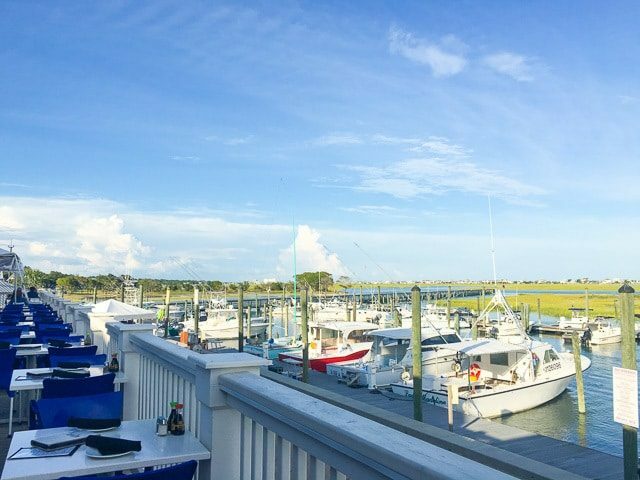 It’s also close by to Murrell’s Inlet so you can pop over there afterward to have some seafood! 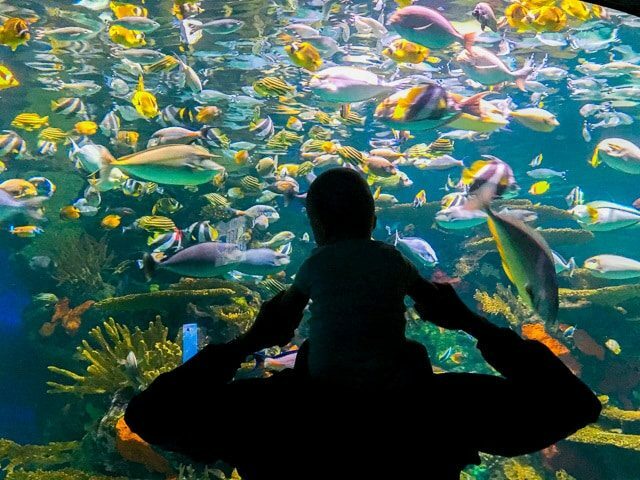 We knew we wanted to visit the aquarium at some point during our trip, but we ended up going on a rainy morning. It was a great way to spend a few hours waiting for the storms to clear, and we were impressed by how many displays they had. 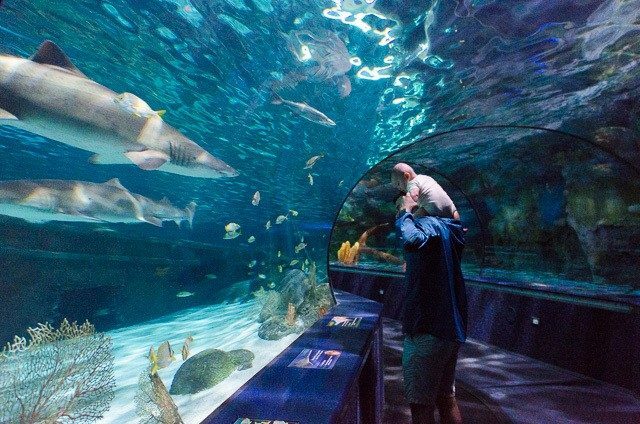 Our favorite part was the underwater tunnel where you could see sharks and fish swimming all around you. They also make it very interactive, and you can touch rays, jellyfish, horseshoe crabs, and other critters. This was the most kid-friendly and kid-oriented aquarium I have ever been to. There’s nothing like walking into a hotel room and discovering that it’s twice the size of your NYC apartment. The suites at the Island Vista resort are huge and amazing, and it’s right on the ocean. We loved having a room with a balcony. Look at this view! Aside from the crazy spaciousness of the rooms (there was a dining table!! ), we really appreciated that it felt like a home away from home. It had a full size kitchen, a washer and dryer, and a separate bedroom from the kitchen and living room areas. There’s something that puts me at ease knowing that I’ve got a microwave, fridge, and a washer and dryer. They also have several pools, plus a lazy river that’s outside but covered, so you can still splash around on a rainy day. Long walks on the beach are wonderful, until you realize you have to carry a 20lb baby in your arms that you’d rather push in a stroller. While we did have a few short beach walks, we went to the Boardwalk and Pier for our longer walks. It leads you all the way to the pier which is where I took the above photo from. 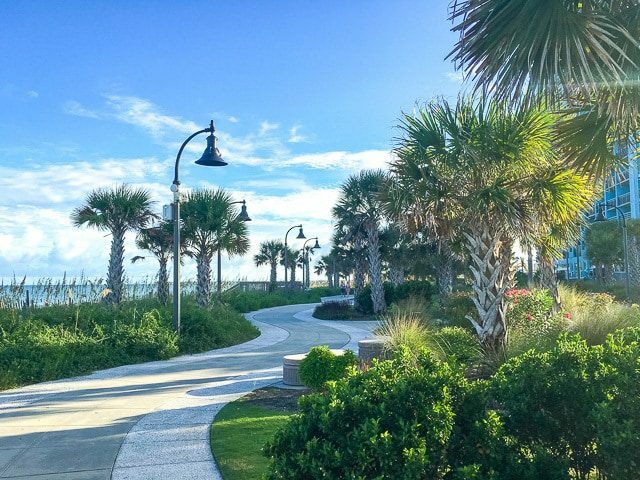 It’s gorgeous to walk, and it has a mix of boardwalk and paved paths that sit right next to the beaches along the coast. If you can, go in September or October. It’s still warm, and the crowds are gone. Myrtle Beach is SO family friendly! It was really nice to feel consistently welcomed and at ease about having James with us everywhere we went. 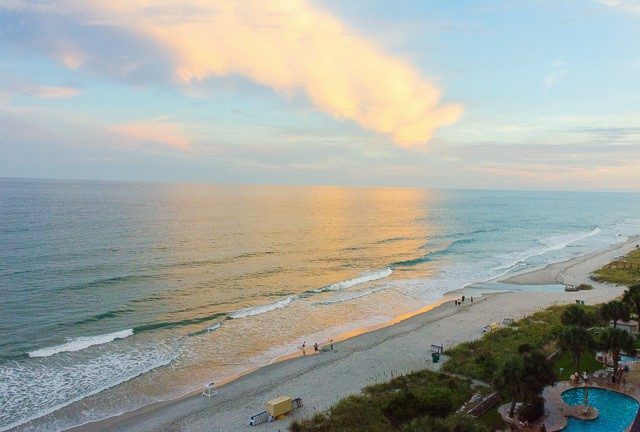 Yes, Myrtle Beach has wonderful beaches that are worth the trip alone. But there is so much more beyond that! Pete gets bored at the beach so it was nice to have a lot of activities to choose from. 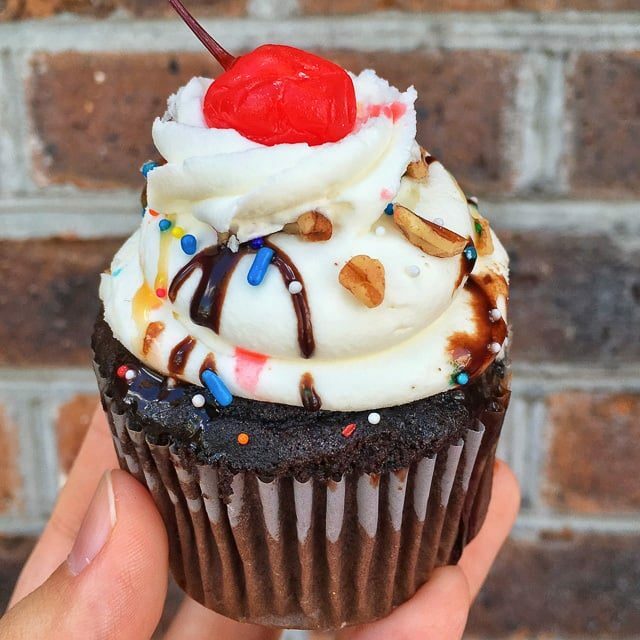 For more suggestions on where to eat and what to do, here’s the Visit Myrtle Beach website. 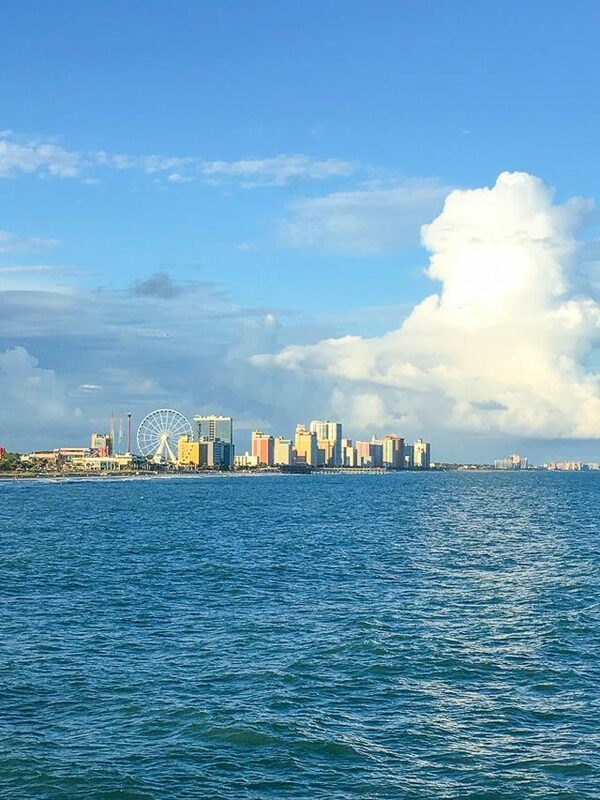 Have you been to Myrtle Beach? Share below. What a wonderful family trip! 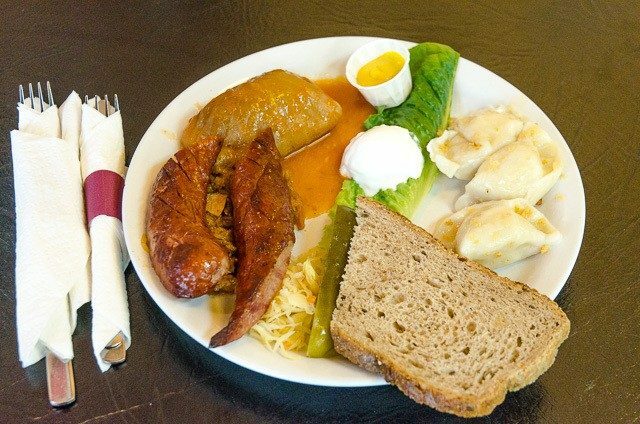 The polish deli looks like a MUST try! Beautiful pictures!!! I never have been there, but just by looking at all your pictures, I want to go now. Thanks for sharing!!! My husband’s family stayed at a campground in Myrtle every summer growing up and we’ve tried our best to continue that tradition, taking our boys almost every year. Now that they are older we always get day passes for the Broadway Grand Prix — we go when it first opens until the heat and hunger hits and then head back at night when it’s cooler. We also love to eat at the Southern Smokehouse. It’s a very reasonable buffet and the guys busing the tables make it quite the experience – very family friendly! So glad you all enjoyed you trip! 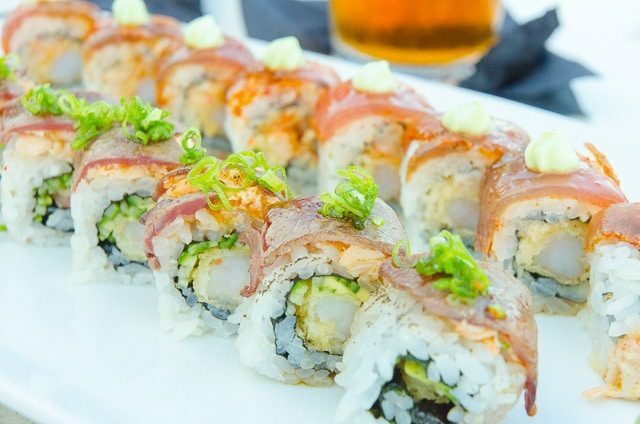 I had no idea Myrtle Beach has so much great food! I’m such a seafood fan and would love to feast on fish there. My grandma used to live in Myrtle Beach and I haven’t been in years. This makes me want to go back immediately! !